UPDATE - 4/15@10:17AM: There's a short interview with Neil Peart in today's Toronto Star where Neil discusses his involvement with the film. 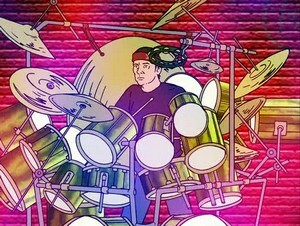 The article is titled Rush's Peart shows off comedic chops as drum-playing watermelon seed in Aqua Teen. One of the more interesting tidbits; for the Drum Solos of Life that appear in the film, Neil gave them a bunch of 30-second clips from his drum solos to choose from that sounded spiritual. Yesterday I mentioned that the Aqua Teen Hunger Force movie featuring Neil Peart released yesterday. Several fans have seen it and we now have more details of Neil Peart's role in the movie. Apparently Neil plays a miniature version of himself and only has a few lines. He first appears inside a watermelon which he travels around in with his melon-slice alien friend (voiced by Chris Kattan). He is permanently attached to his lime green drumset with the bass drums secured to his feet so that when he walks he has to kick the bass drums forward, making a resonating "thud" with each step. Neil is never referred to by his last name and Rush is never mentioned. Neil also has the ability to resurrect the dead by playing his Drums of Life; he resurrects Meatwad in the film. I did not see the movie myself but got the info from a couple of emails (thanks cpb) and a post from The Deathless Horsie over at Counterparts. 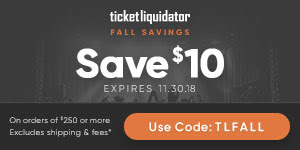 If you saw it, please share your review/thoughts in the comments.